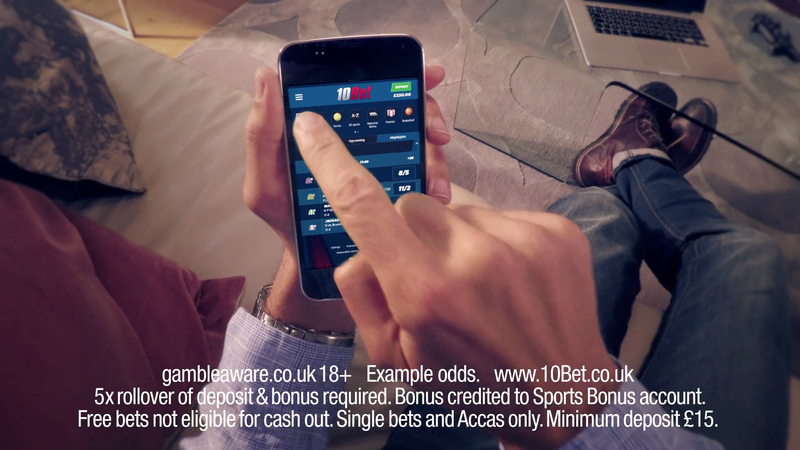 Jump was approached by 10Bet to create a TV commercial. 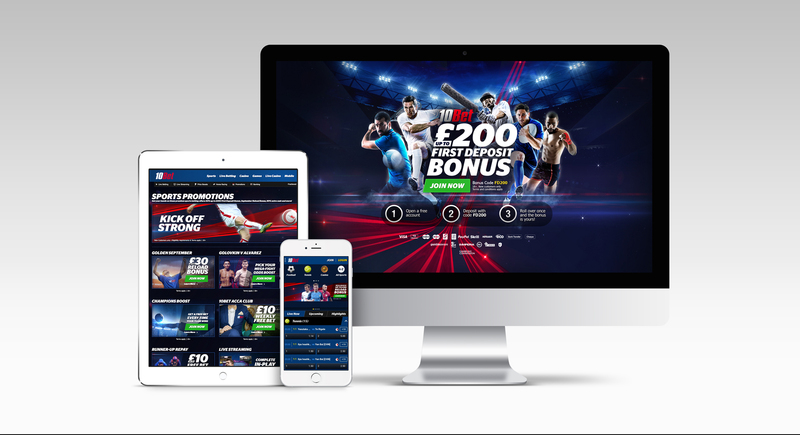 Alongside this commericial we also designed full digital collateral of assets to launch together promoting their website. 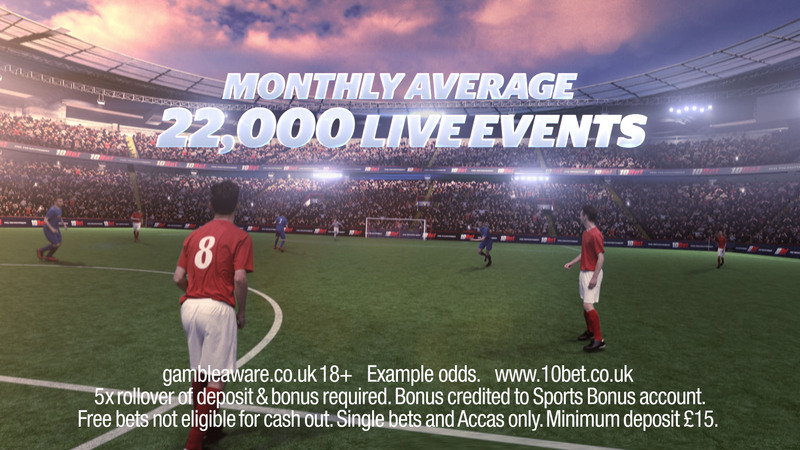 The TV campaign involved a multi-location shoot with a team of footballers choreographed and shot on green screen – shooting 1000 frames a second on the Phantom 4k Flex! 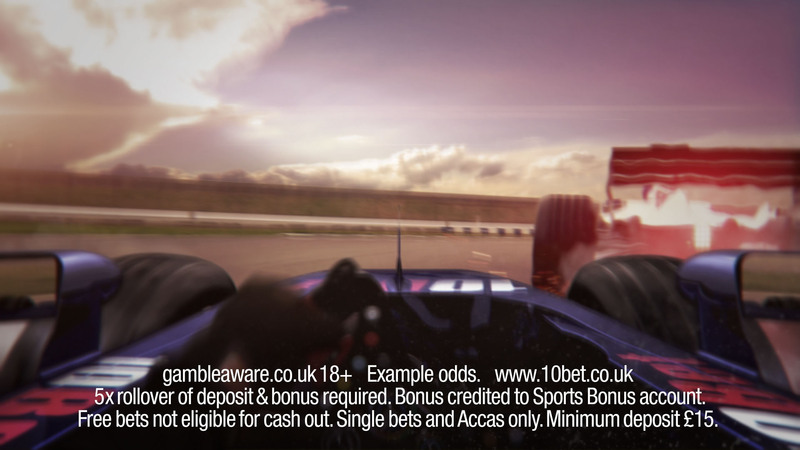 In addition to integration of stock footage, bespoke built CGI stadiums, F1 racing cars and a whole host of post-production effects. 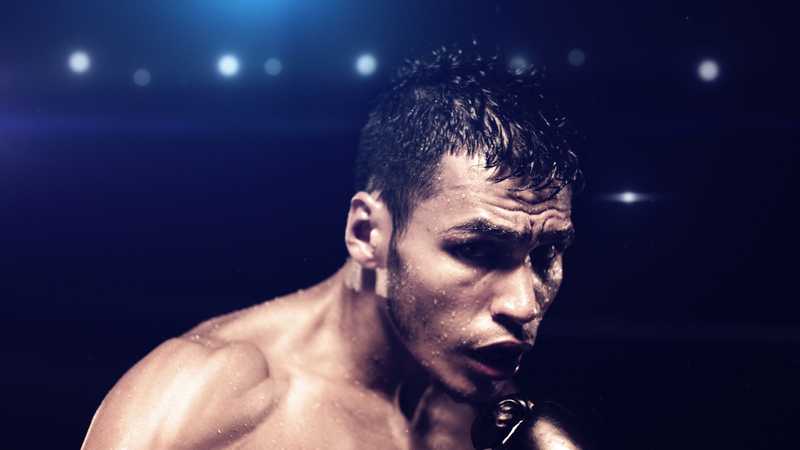 The campaign draws in the viewer with its point-of-view shooting style – making them a part of the action. 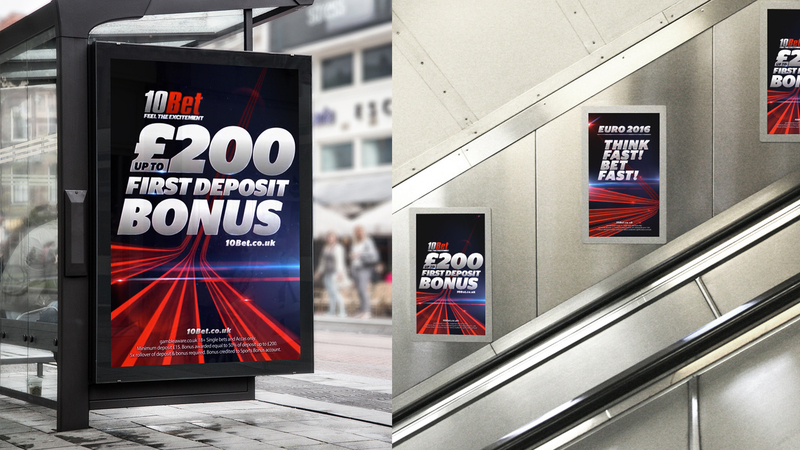 Elements of the TV campaign have also been incorporated within the digital out of home graphics. 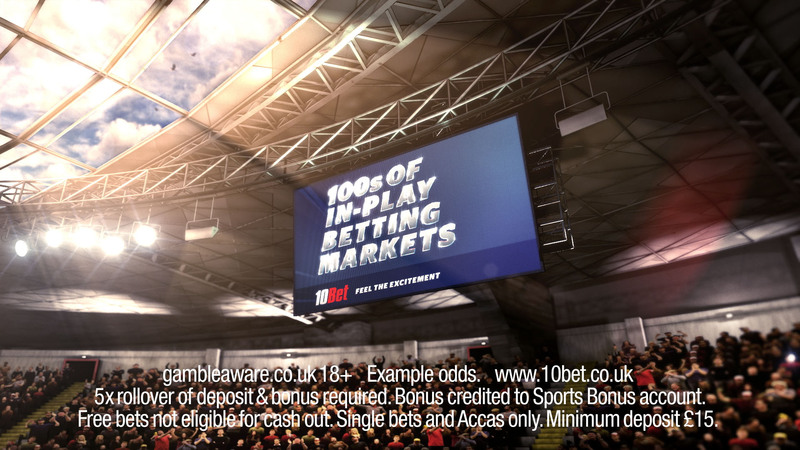 These sequences, each one dedicated to Euro 2016, feature the bold typography of 10Bet’s refreshed brand, highlighting the key games of the day or week as well as 10Bet’s In-Play and Fast Markets. 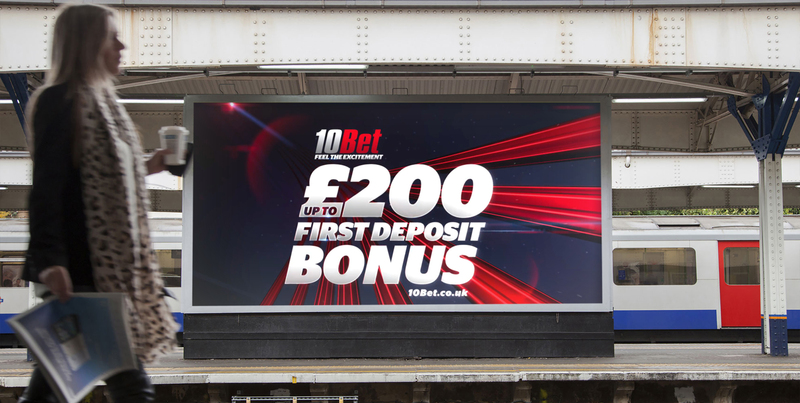 The campaign is being shown at several major train stations and numerous TFL sites.Along with these digital campaign designs Jump also created assets that 10Bet could then use on their website. 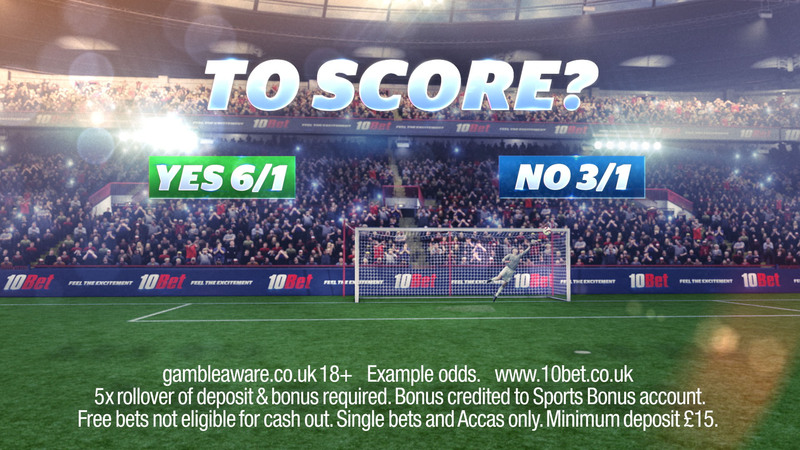 The designs would work in conjunction with the media campaign across all platforms but also keep the premium feel of 10Bet.